Hey friends! It's Meghan from Keeping Up with Mrs. Harris. Can you believe that it is almost time to go back to school? 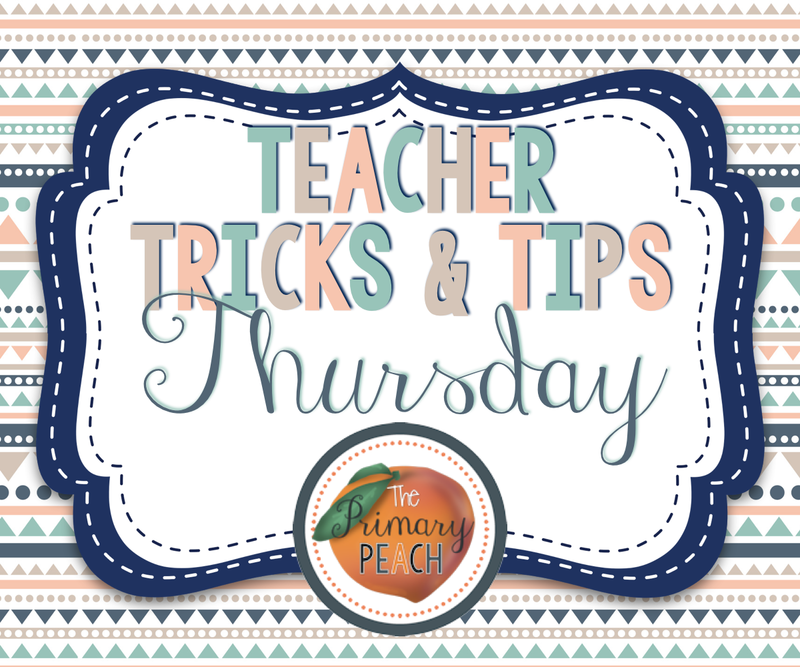 I can't believe it either, but I have a Teacher Tips for this Thursday that will have you excited about integrating technology into your morning routine. 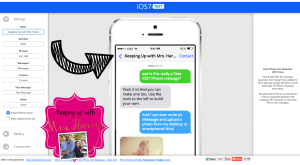 How much fun would it be to greet your students each morning by displaying a new iMessage to them with either a writing prompt or sentence correction message on a SmartBoard or projector? 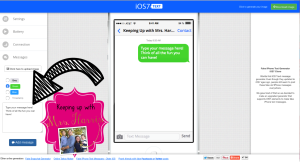 My Tech Tuesday tip for you is how to use a FREE online website to create your own iMessage images that you can use however your little heart wishes! The possibilities are endless! Here are the easy steps! 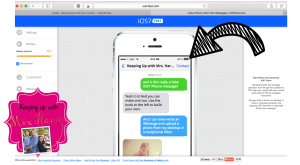 Fake iPhone iOS7 is a super easy website to use! 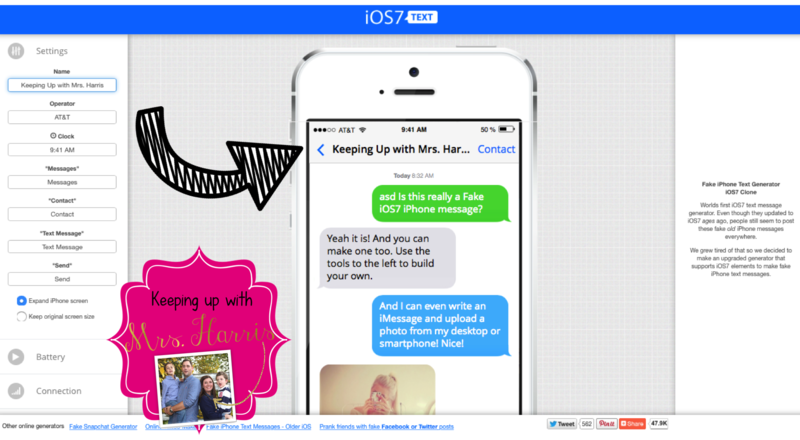 It has tons of FREE features that help you customize your message. The first option is to customize your "settings" for your iPhone. You can change the name, phone carrier, time, etc. 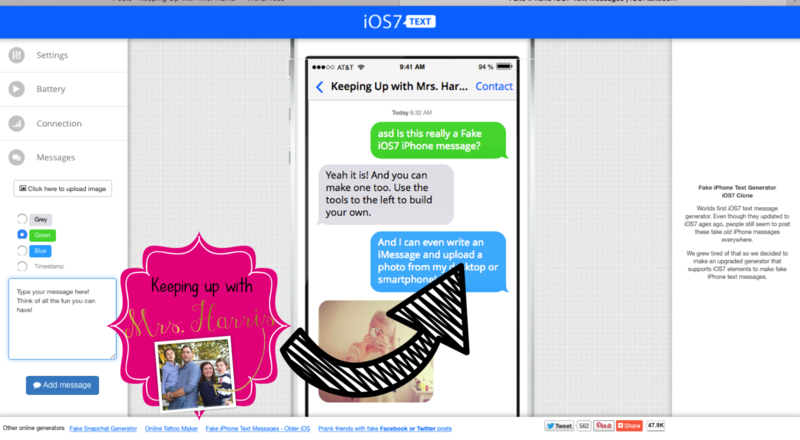 They really thought of everything when setting up the iMessages! You can even change the amount on your battery. You can even customize your wifi signal! 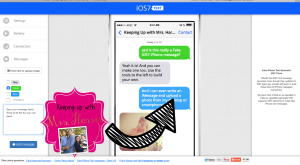 This might even fool your brightest students to encourage "buy in". The next section is where you can really have fun! 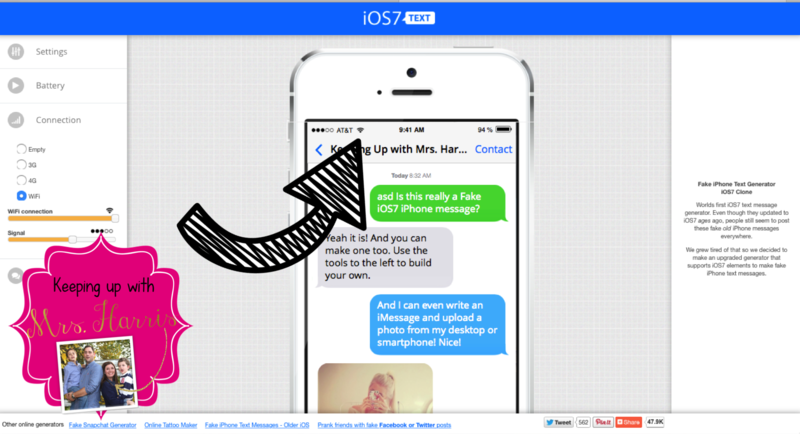 This is where you can upload images, create messages, etc. 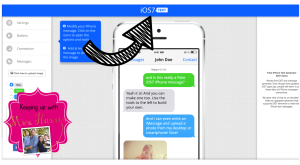 You can even change the color of the text bubbles for text messages or iMessages. You and your students are sure to have a blast with these fun iMessages! I can think of a million ideas already for using them in professional development and with my own children/students. Enjoy! What a great hook for getting things started! Already made the first week of morning "texts". Thanks so much for sharing this site and directions of how to use. The fragment checker is doing a great job according to checker. It becoming so popular nowadays. It help students learn how to read like writers and write like readers. Online casinos play all the advantages. When studying for your TExES exam,I ran across this site pick a place which is tranquil so you can study with no interference. This web site is often a walk-through like the knowledge. international school in delhiyou wished about it and didn’t know who must. Glimpse here, and you’ll absolutely discover it.